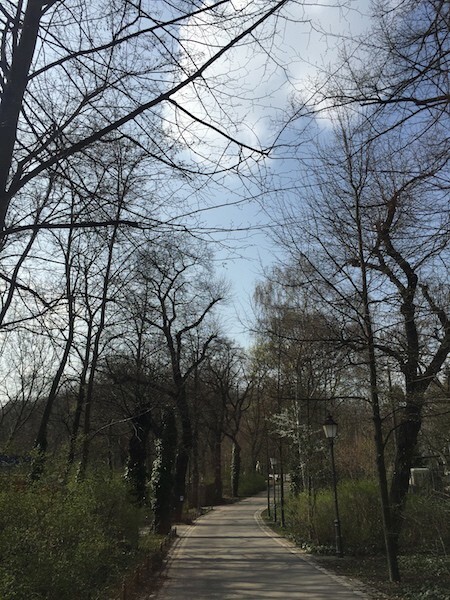 There’s absolutely no shortage of great green spaces to walk, jog or run in Berlin. 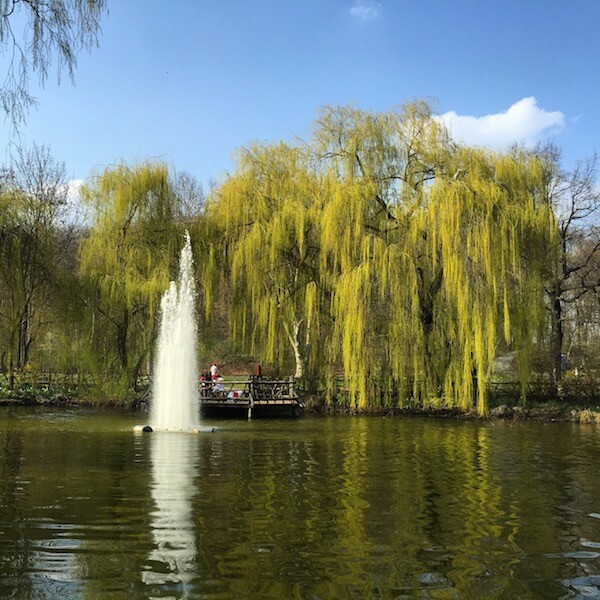 BERLIN PARK FRIEDRICHSHAIN (or Volkspark Friedrichshain) is one of our favourites. 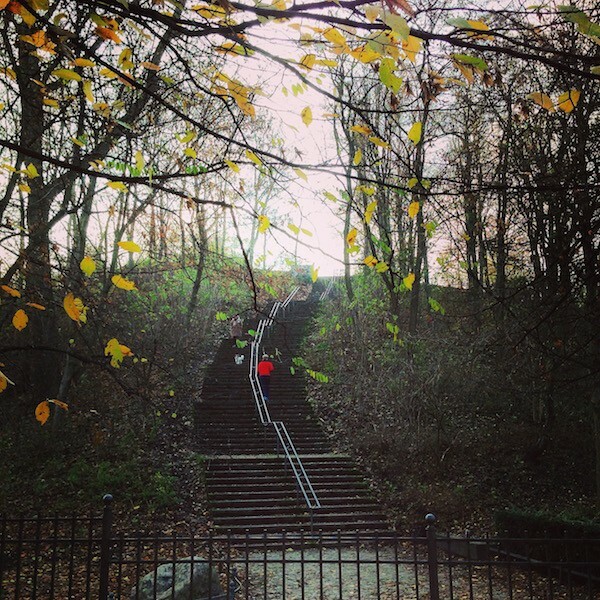 Not only because it is beautiful and soulful, but also because it does offer some uphill/stairs and downhill/stairs opportunities…assuming you would want that kind of a workout or stroll. There is no need to do that, though. One can certainly explore the whole park in flat terrain as well. Whether you would like to explore aimlessly or follow our suggested path (5.5 KM), it is up to you. One thing is guaranteed, you will fall in love with this park. 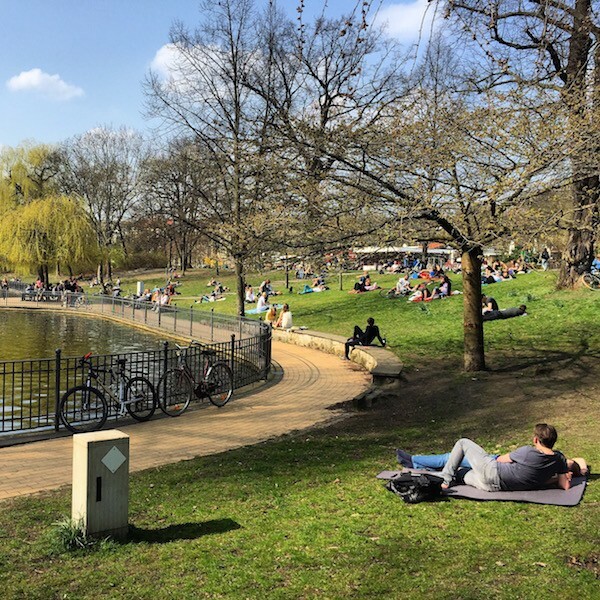 Friedrichshain park is the third largest in Berlin (the two biggest ones are Tiergarten and Treptower Park) and has 54 hectares. It is the oldest public park in the city and attracts a mixed crowd of yuppies (from Prenzlauer Berg) and hipsters/older grungier types (from Friedrichshain). It is a kids friendly park and also attracts a significant portion of the young moms and dads of the area. On sunny days, it is quite common to see an astonishing number of strollers. The park is quite vast and comfortable, so do not worry if you don’t necessarily fit it with the descriptions above. 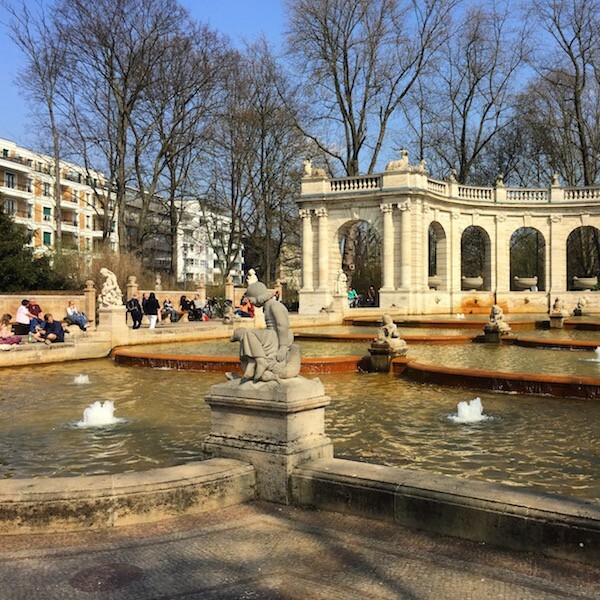 Start your job/walk/run right by the “Märchenbrunnen” ( The fountain of fairy tales – a beautiful public fountain with amazing looking sculptures and a stunning cascade composition. Try and guess which sculpture corresponds to which fairy tale! Follow the path towards the hill and climb it, going around until you get to the top. From here you can get great views of the TV Tower. During the summer months, when vegetation is thicker, it tends to be harder to get the views. It is still worth the climb, though. The vegetation is lush green then. Make your way down and follow the path to the Swan Pond and Fountain. Pass by the Schönbrunn Restaurant and Biergarten (or stop here for a drink or two). It’s a great opportunity to observe some of the locals having some fun. The crowd does tend to be older though. Take the next path around another hill (this one is smaller) and cross towards a section of the park with beach volleyball courts and a bike path. There is still a great running/walking track around this area. So do not get intimidated. Follow the path back on the other side of the park. The total distance for the appointed path is 5.5 Km, but as you can see in the map, you can certainly fit in another Km or two without having to repeat your path. After your walk/jog/run at make your way back to the Swan Pond area and enjoy the rest of the afternoon drinking a pint or two of beer! 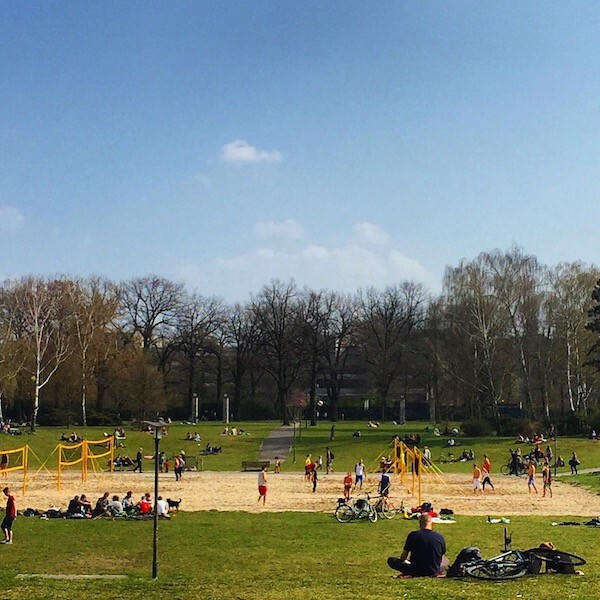 Find out more about BERLIN PARK FRIEDRICHSHAIN HERE. Or for additional running paths, click here. Look no further. 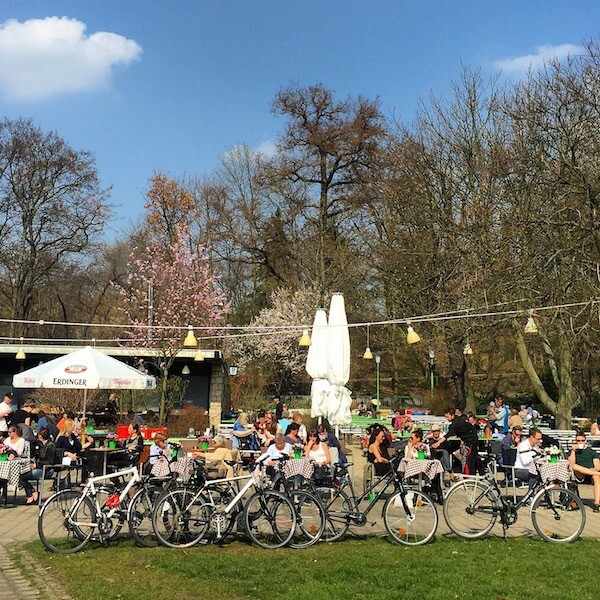 Find all you need to know about Berlin's best beer gardens!